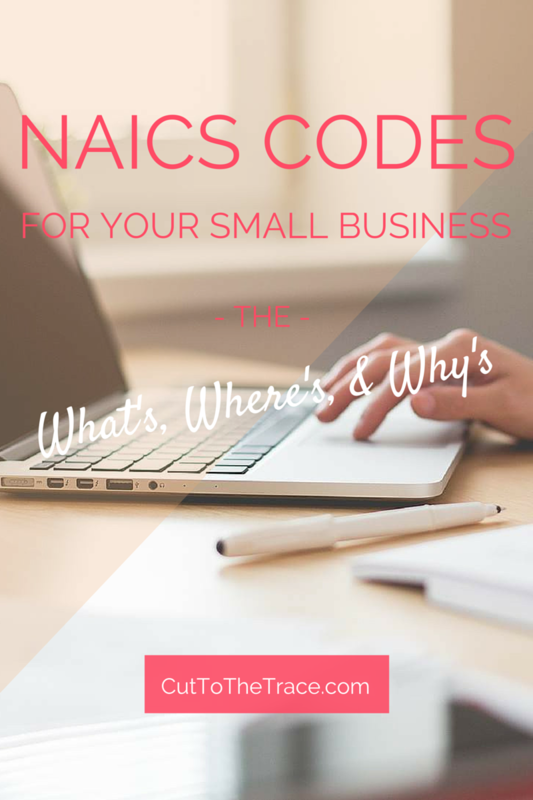 As a small business owner, you’ve probably heard of NAICS codes before but may not know what they are, what they’re for, or how to find out which one is right for your business. Here’s a quick overview of what you need to know! A NAICS (North American Industry Classification System) code is a 6-digit code system that is used by business and government agencies (like the U.S. Census Bureau) for statistical purposes, and to classify business establishments into 20 industries depending on their economic activity in the United States. Essentially, it helps them to collect, record, and report economic data. This system isn’t only used in the U.S., but in Canada and Mexico as well. In 1977 the NAICS replaced the Standard Industrial Classification (SIC) system, and is updated every 5 years in order to accommodate changes in business and industry classifications. Some agencies at the state and federal level will require businesses to have a NAICS code for contracting and tax purposes, however there is no centralized database available to check which organizations or agencies actually do. Another reason to know your NAICS code, is that some state governments will offer tax incentives to businesses from certain NAICS industries. Let’s say you need to register for a sales tax permit in your state. Most likely, you’ll be required to supply it on the paperwork. The gist of it is, it’s better to know it and not need it instead of being stuck without it! Each number in the code represents an indicator for different levels of classification. For all of you soapmakers out there, we’re going to use the NAICS code for soap manufacturers, 325611, as our example to show you how the numbers break down! > 32 – The first 2 numbers are what indicate the “economic sector”. In this case, 32 (or any code starting with 31-33) indicates a “Manufacturing” sector. > 3256 – The fourth number is what refers to the “Industry Group”, again specifying even further. In this example, the 6 refers to “Soap, Cleaning Compound, & Toilet Preparation Manufacturing”. > 32561 – The fifth number indicates the “Industry” itself. Here the 1 shows that it’s the “Soap & Cleaning Compound Manufacturing” industry. > 325611 – The sixth and final number will specify an industry that is specific to the U.S., Canada, or Mexico. For this specific code, the 1 is specific to the “Soap & Other Detergent Manufacturing” in the U.S.
It’s actually a pretty likely chance that your business could qualify for more than one NAICS code, especially being a craft business! Sticking to our soapmaker example, there are obviously a ton of different ways one could run their business. Some only sell online while others have a brick-and-mortar location. Some only sell at craft fairs or farmers markets. Some do everything! And yes, that means that some people will need to use different codes than others. Being a handcrafter and depending on what type of form it is that you’re filling out and who it’s for, you may also need to know your “Retail Trade” NAICS code instead of a “Manufacturing” one like we used in the example above. These codes would start with a “44” or “45” to indicate the “Retail Trade” sector, instead of a “32” like before. Codes in this sector aren’t product-specific like the “Manufacturing” NAICS code was. Normally, the agencies (outside of the Census Bureau) don’t necessarily care what the product is that you’re making. (Unless it’s food meant for immediate consumption.) They only care about when/where you actively do your selling, and that’s what will usually determine which NAICS code you should use. Let’s say you have a Private Label business (Private Label = When you purchase product wholesale from a handcrafter and then sell it retail under your own company’s label). Obviously, you wouldn’t fall under the “Manufacturing” sector type because you’re not making your own product. You would be included under the “Retail Trade” sector. Some other specific examples would be if you ONLY sell online, ONLY at a craft fair, or some other direct-selling establishment. You would also need a “Retail Trade” NAICS code because you’re not conducting your business in the same space as you’re manufacturing product. If you are someone who has their own storefront or studio where you both make AND sell your products, then 9 times out of 10 you’ll only have to worry about the NAICS code for the “Manufacturing” sector. If you find that that doesn’t work well for you, you could also use the NAICS Code Drill Down Table where it allows you to start by selecting the industry out of the list that is most relevant to your business, and then going from there. > 454111 – “Electronic Shopping”; For those who only sell product electronically/online. > 454390 – “Other Direct Selling Establishments”; For those who only sell at a temporary set-up. (Craft show tables, farmer’s market booths, street vendor trucks/wagons). > Click Here if you know what your business’s old SIC code was and need to convert it into the NAICS version. > Click Here if you need a list of industry options to choose which would fit your business best. I know, it’s a lot of information! So please Please PLEASE drop a comment below if you have any questions & I’ll help you as best that I can! If there’s anything that I missed that you think should be included, leave a comment about that too! I am going to have a booth at an indoor handmade craft store. I make burlap wreaths, wooden signs and other home decor. What code might this fall under?